I am currently working on a legacy application that has recently had a “solution” upgrade to work with Visual Studio 2015. During the course of my work I have encountered minor Code Lens attribution bug. The bug essentially attributes test results of a child class, to the base class from which it is inherited. The test results are then propagated up the class hierarchy to all classes which inherit from the base class. Closer inspection of the tests shows that the are not related to this class, other than the base inherited classes. 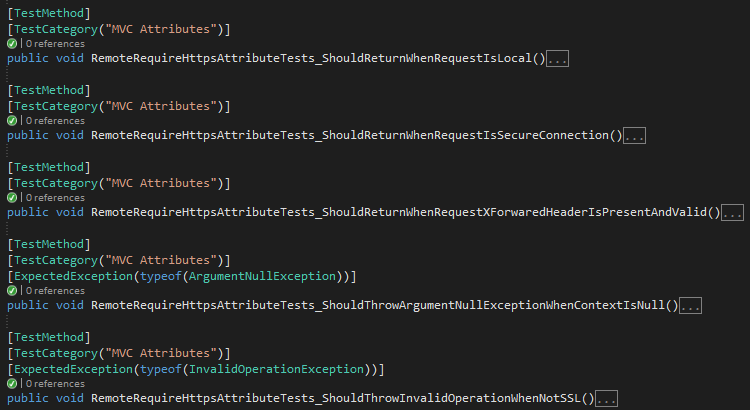 Figure: 5 of 5 passing tests are all for RemoteRequireHttpsAttribute ActionFilter. Surface Pro 3 - Max specs. VS2013 and VS2015 are both installed and fully patched.